✔️LONG LASTING DURABILITY – These cups are made out of premium quality 304 stainless steel, will not rust, can be used again and again and are even safe to put into your dishwasher. ✔️CONVENIENT SIZE – These cups are the optimal size for any drinks that you may want to take anytime. ✔️DRINK WITHOUT TOXINS - Each Wealers Outdoors Stainless Steel cup is FDA approved and made from premium food-grade stainless steel which means BPA-FREE and NO TOXINS while drinking from these cups. ✔️4 STACKABLE CUPS – All of these cups ensure you have enough space for drinking, and also sharing a drink with friends and family. ✔️CUP FOR ANY BEVERAGE – They are perfect for any cold beverage that you may want to put into it. You can drink soda, soft drinks, water, beer, or just plain old apple juice with these cups. 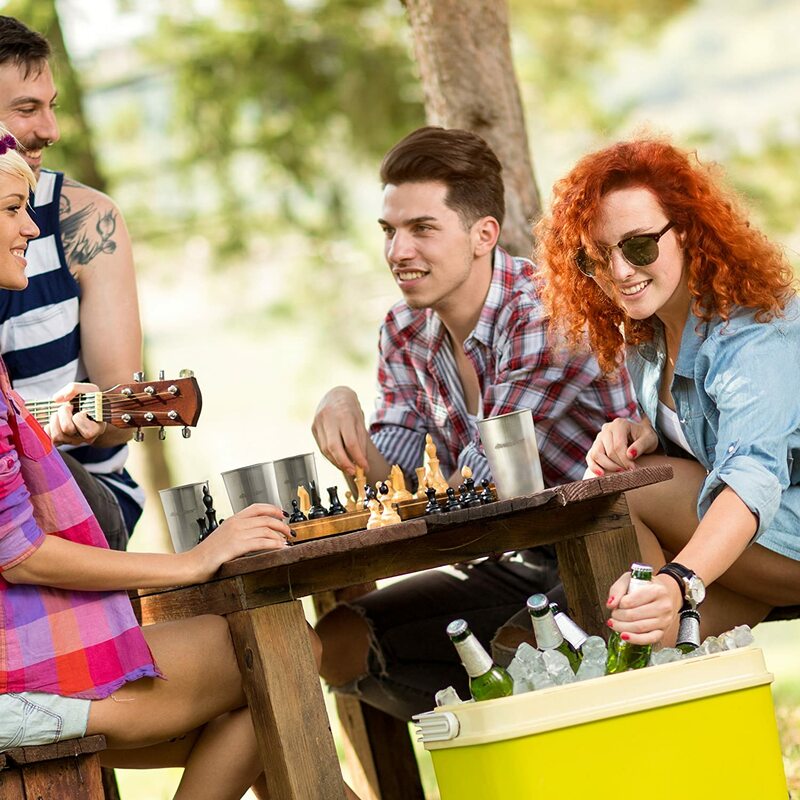 Whether it's water, iced coffee, juice, smoothies, milk or any other beverage, Wealers Outdoor Stanless Steel Cup is a multi-use cup for any occasion. Take it to your next concert, barbeque, beach trip, or just your own backyard. Throw a stack in your picnic basket, clip one on a backpack, or keep a few in your kitchen. The Stainless Steel Cup also loves to go camping, boating, or hiking deep into the backcountry. Ditch the plastic. This Cup won't break like glass pints or fill the garbage can or landfill like the ubiquitous red cup. Dish washer safe and won't retain past flavors.Doesn't retain or impart flavors. Material: Stainless Steel.